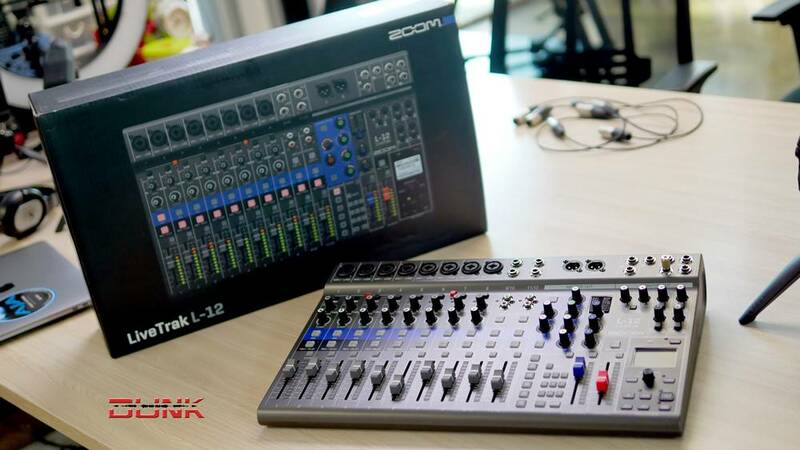 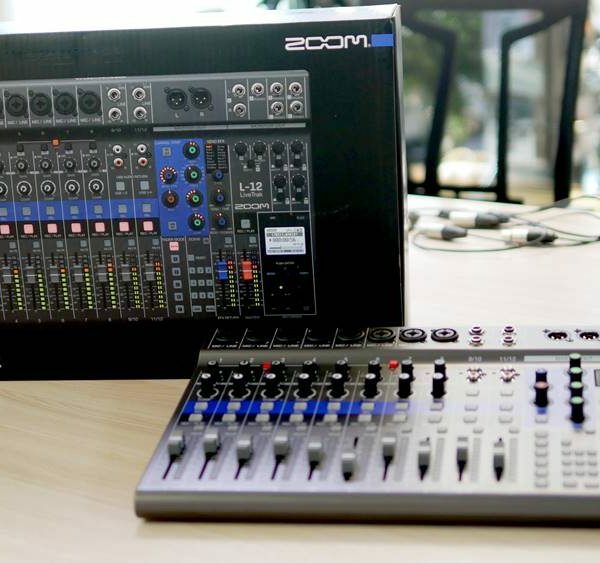 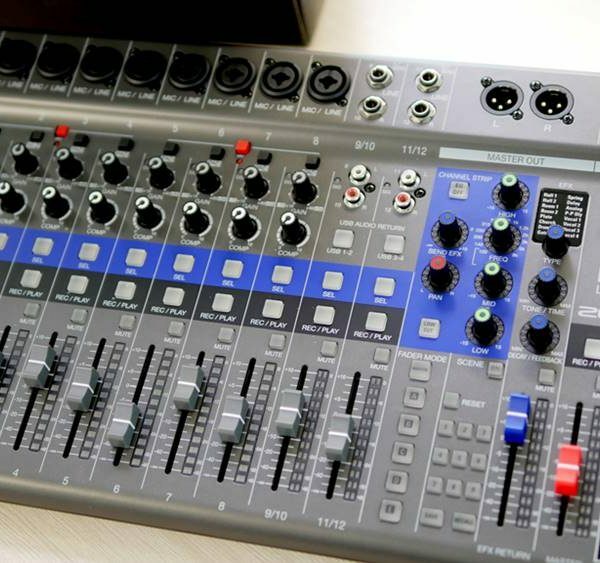 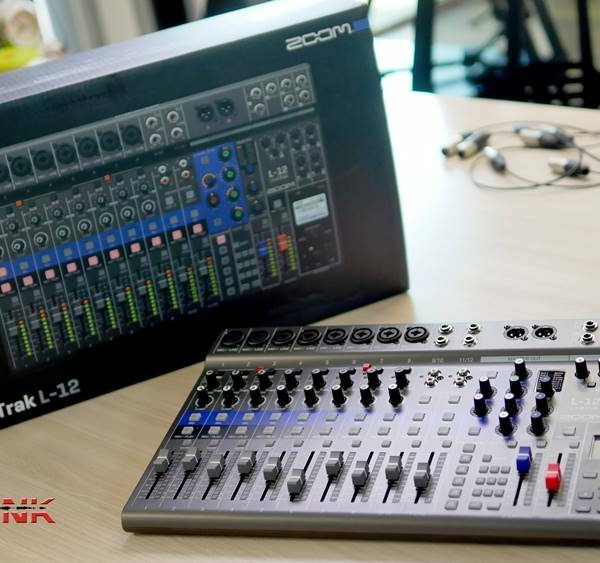 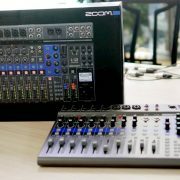 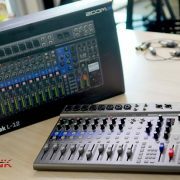 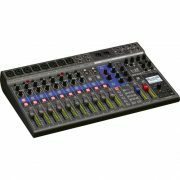 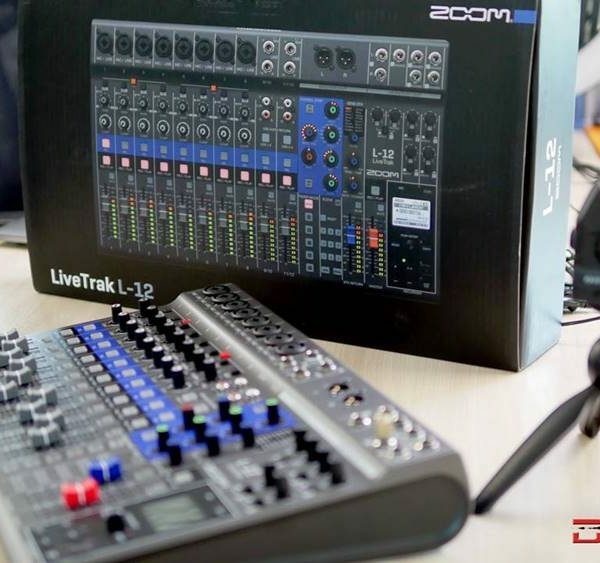 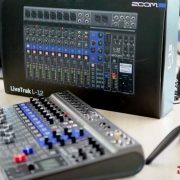 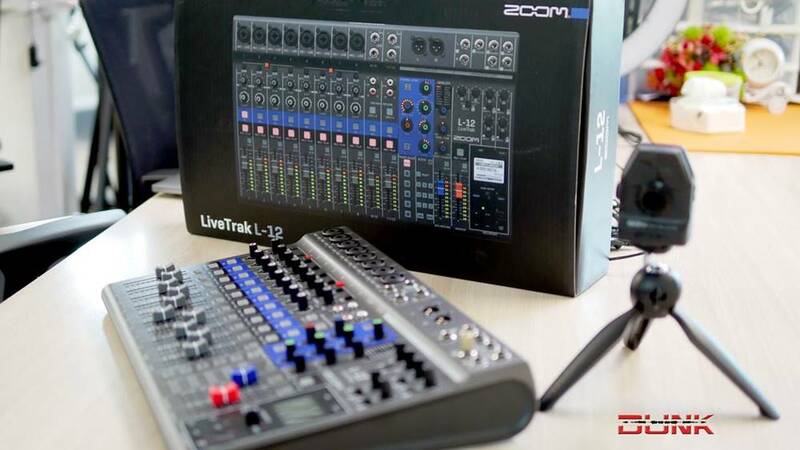 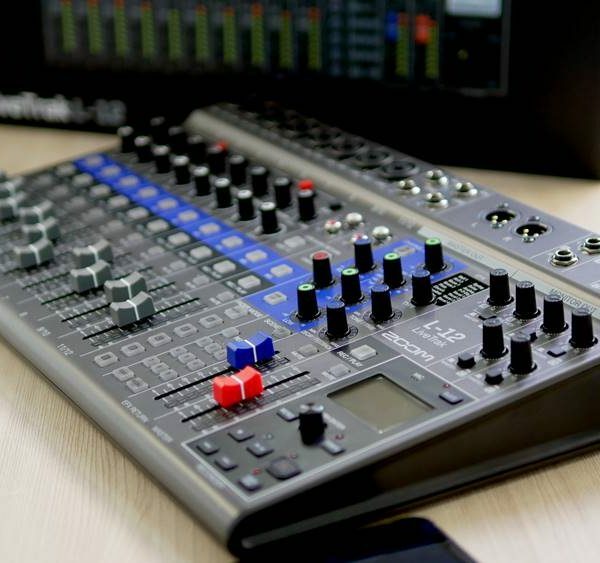 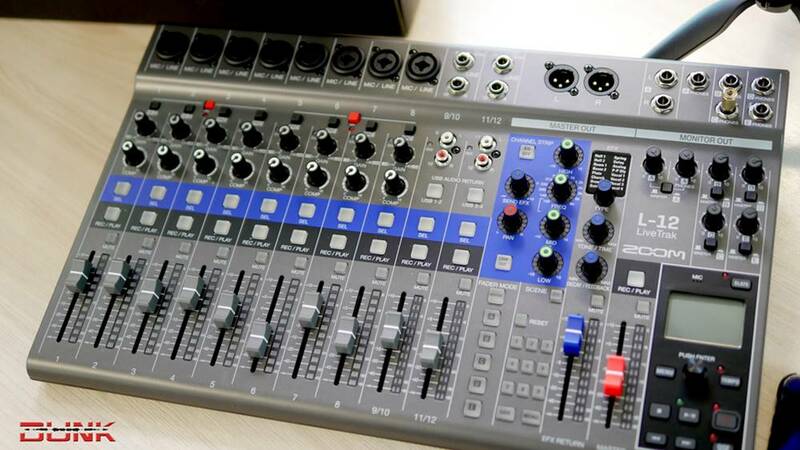 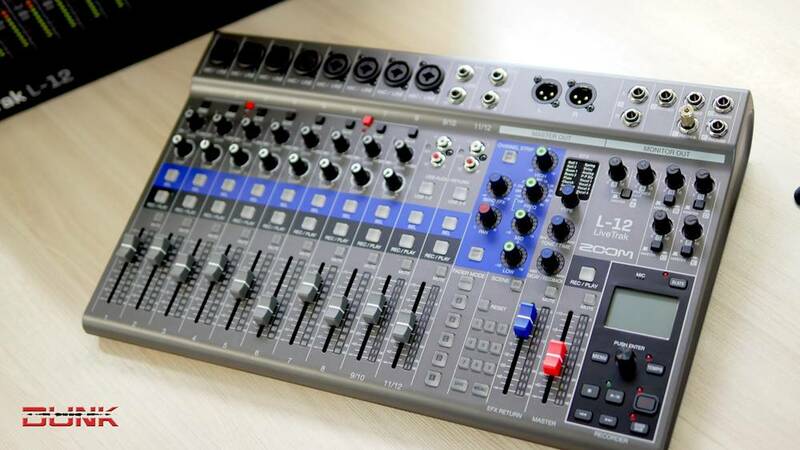 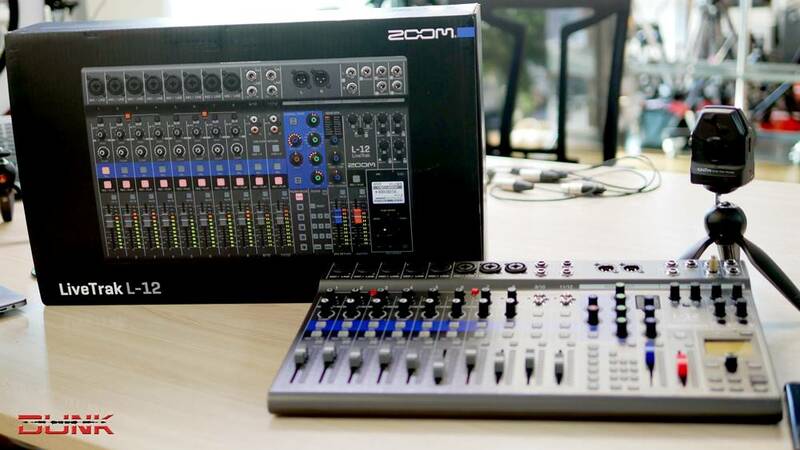 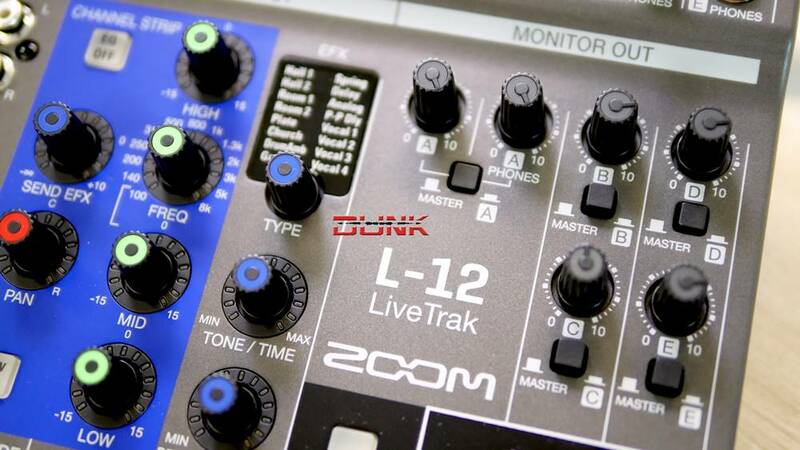 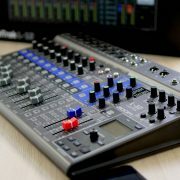 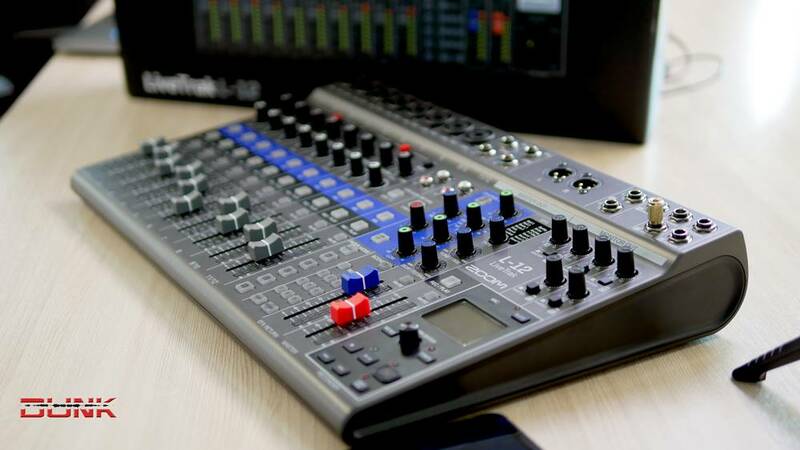 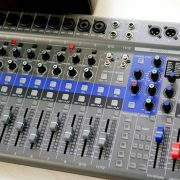 Zoom LiveTrak L-12 is a 12-channel digital mixer and multi-track recorder, well suited for live performances, studio recording, band rehearsals, podcasts, and more. 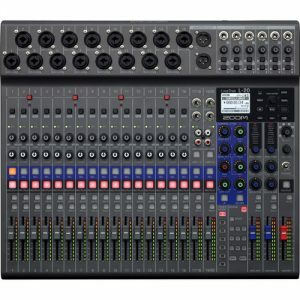 The compact mixer features 8 mono channels, each with combo mic/line XLR-1/4″ inputs with high gain, low-noise microphone preamps, +48V phantom power, and a single compression knob, while the two stereo inputs offer dual 1/4″ and RCA inputs. 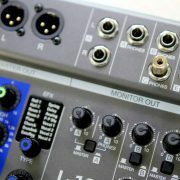 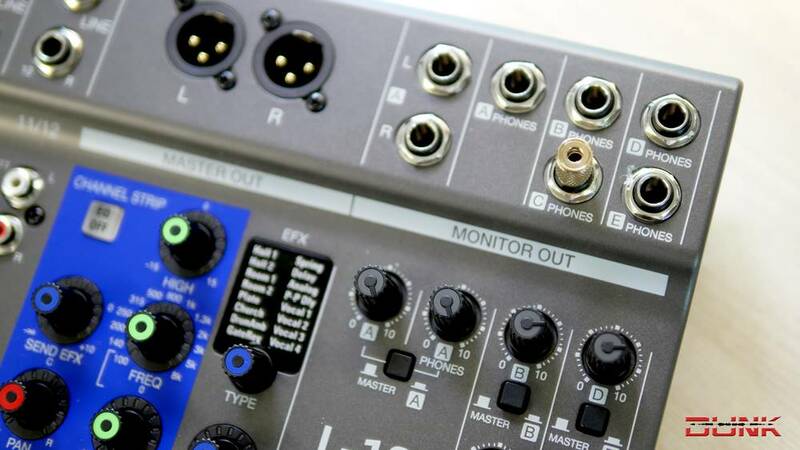 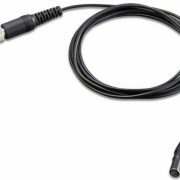 Channels 1-2 also offer Hi-Z inputs for connecting guitars and basses. 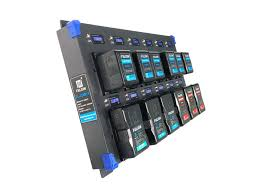 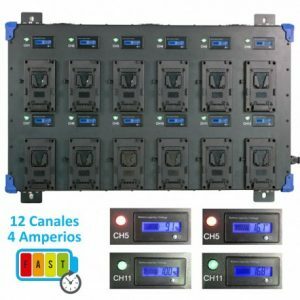 All channels work with the on-board channel strip, which provides a low-cut filter, a 3-band EQ, a pan control, and a send FX for sending signal to the 16 built-in high-quality effects processor with a dedicated EFX Return channel. 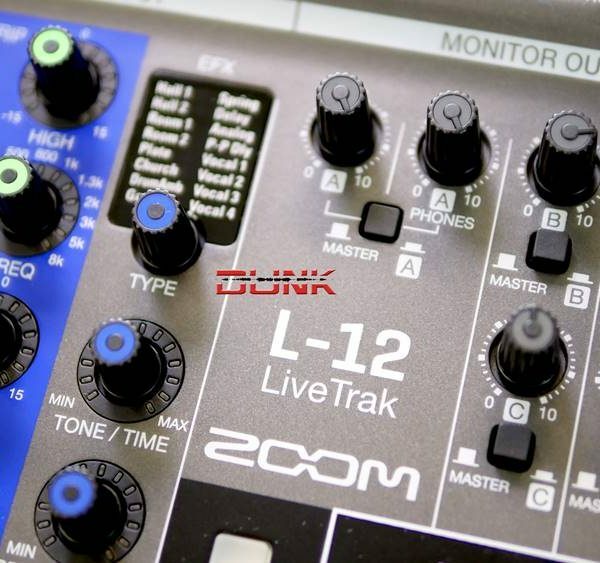 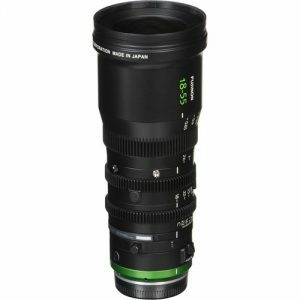 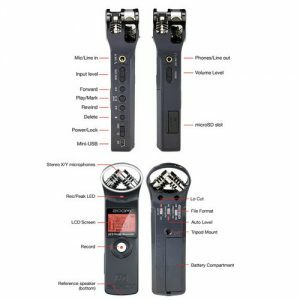 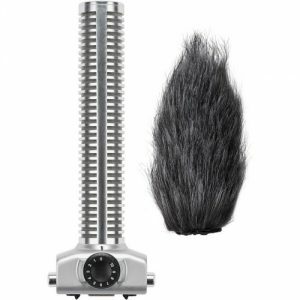 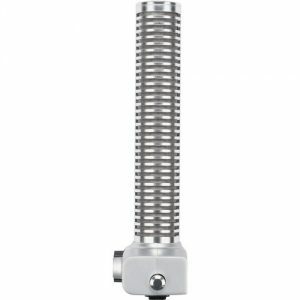 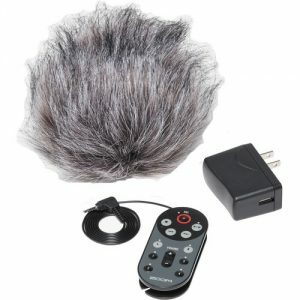 The main output utilizes balanced XLR outputs, while a stereo monitor send is available via two 1/4″ outputs. 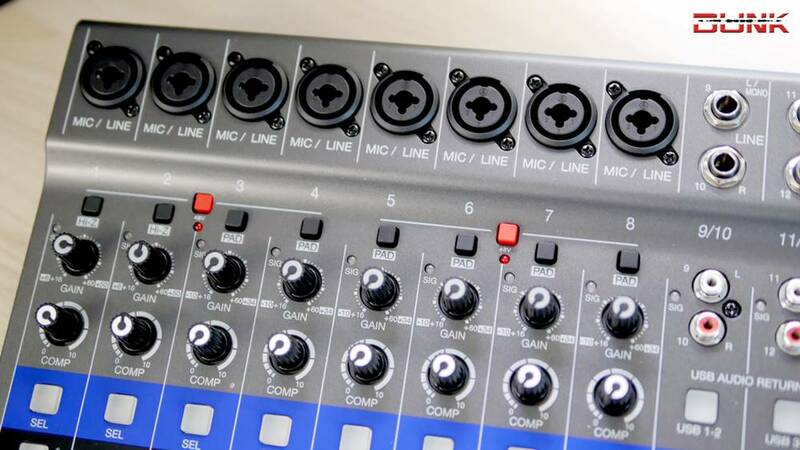 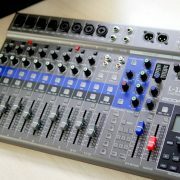 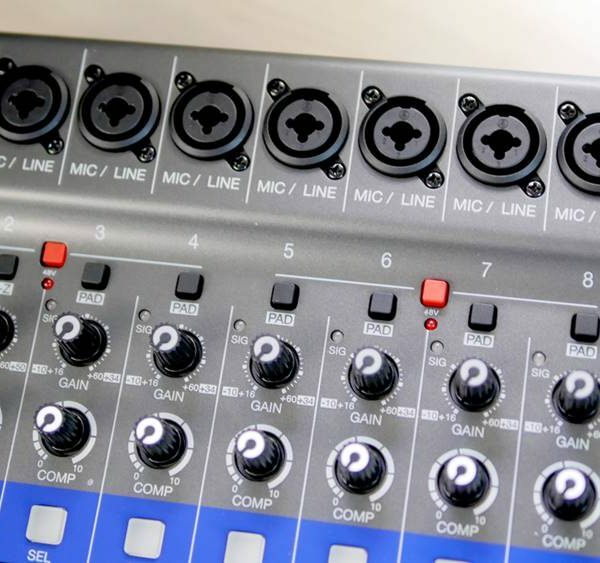 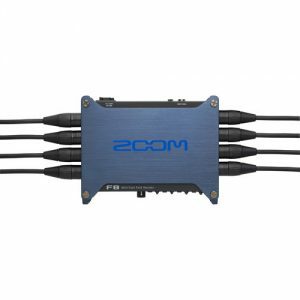 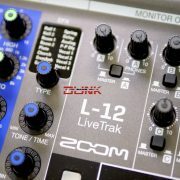 Additionally, the Zoom LiveTrack L-12 offers five headphone outputs, each with the ability to set up customized mixes. Simply connect your headphones and adjust the levels to taste. 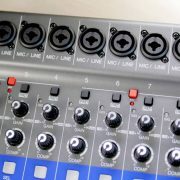 There are nine snap-shot presets, which allow you instant recall of different setups and sessions. 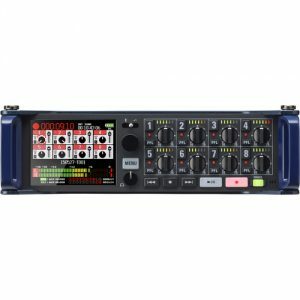 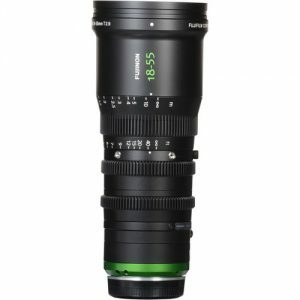 The built-in SD recorder can simultaneously record every channel and the master fader stereo signal output for a total of 14 tracks at resolutions up to 24-bit/ 96 kHz. 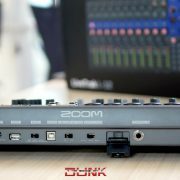 Files can easily be copied to a computer and used in a DAW. 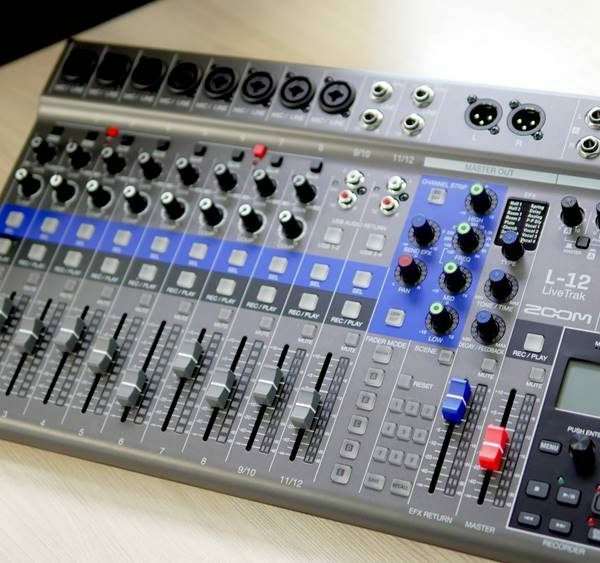 In addition, overdubbing and punching in/out can be done as expected when using the unit as a multi-track recorder. 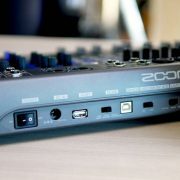 The L-12 can also function as a 14-in/4-out USB audio interface, allowing you to record directly to your favorite software DAW or to iOS devices. 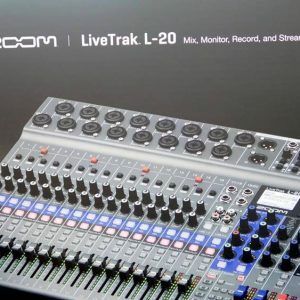 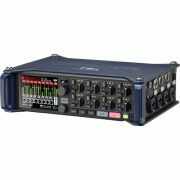 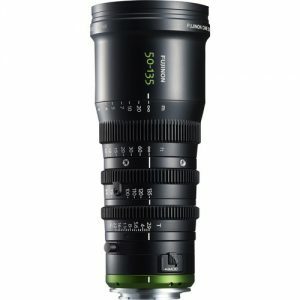 Other notable features include 12-segment LED meters on all channels, a built-in metronome, and a built-in slate mic for identifying takes. 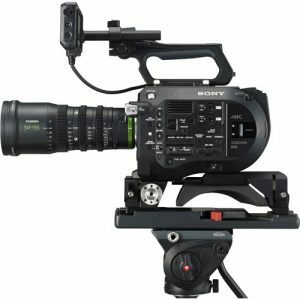 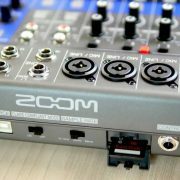 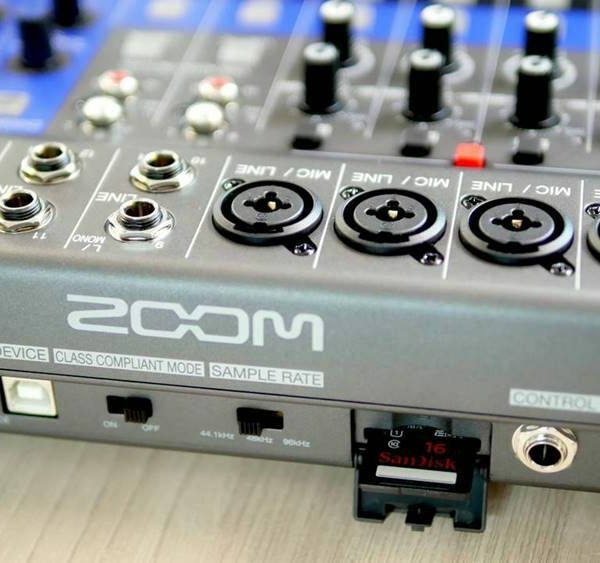 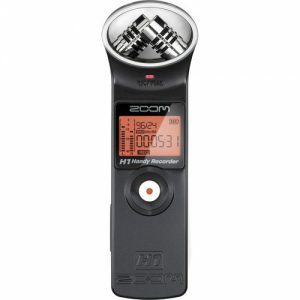 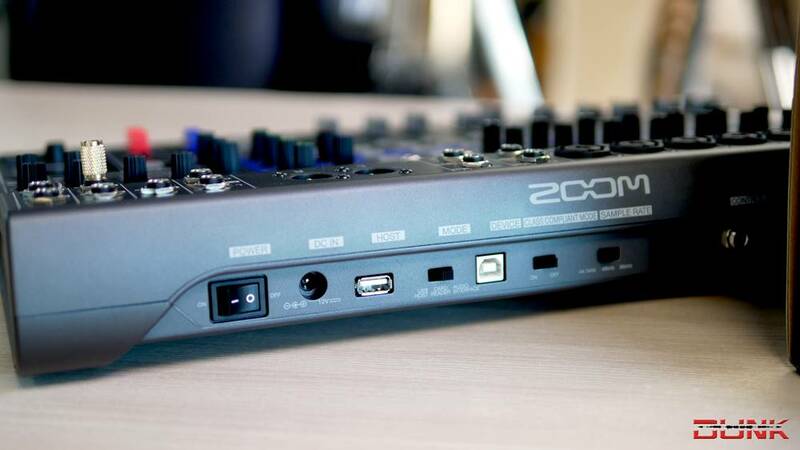 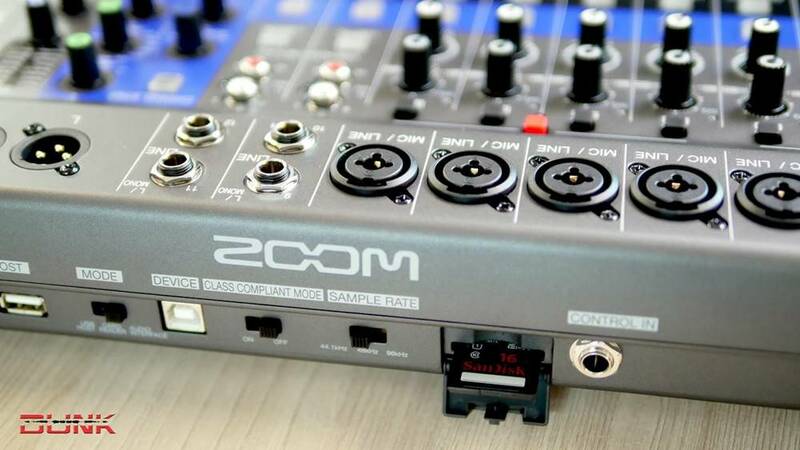 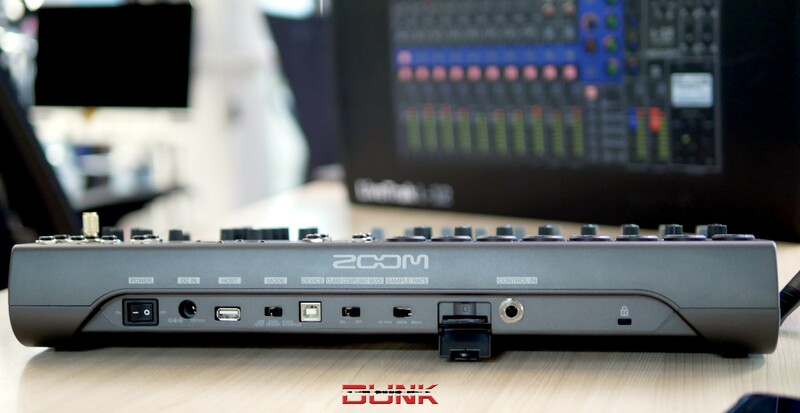 The Zoom LiveTrack L-12 ships with a power cord and a USB cable.